How do I open/close a cash drawer? What does it mean to “balance” the cash drawer? Each of these elements of cash drawer management are facilitated by your point of sale system. 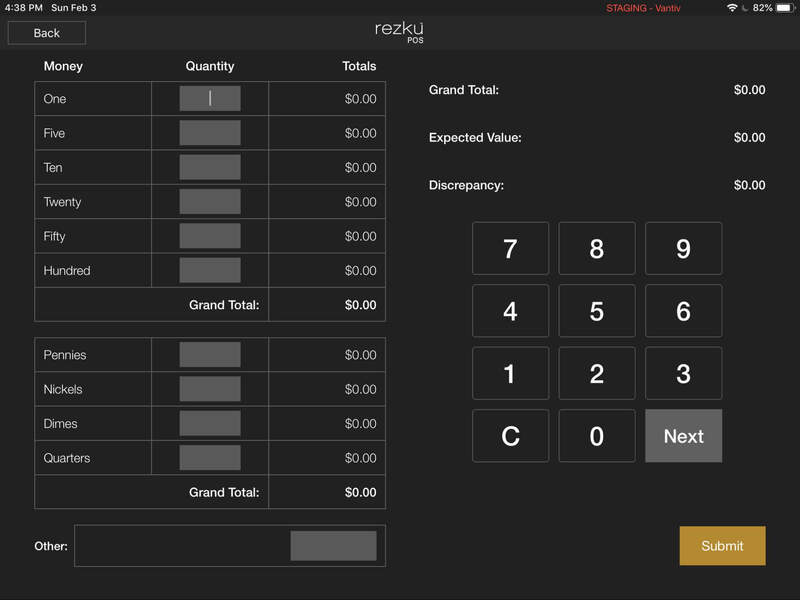 Rezku POS helps you to track your cash, prevent employee theft and provides cash drawer reports for bookkeeping. Every day the cash drawer must be opened and closed. At the beginning and end of the day, before any transactions are made the cash drawer must be opened. If there is starting cash in the drawer to make change, this amount needs to be entered on the POS when opening the drawer. Tap the submit button to open the drawer. At the end of the day, after the last transaction has been completed, the cash drawer should be closed. To close the cash drawer, go to the drawer management buttons in Rezku POS and tap the “Close” button. Tap “Submit” to close the drawer. Throughout the day, every legitimate cash transaction in and out of the cash drawer is recorded by the POS. The cash drawer in Rezku POS is an account. When closing or auditing the cash drawer, the account shows the expected cash value for the drawer. The amount of money that is in the register should match the value for the POS cash drawer account. If the amount in the register does not match the account there is a discrepancy and the drawer is not balanced. This gives you the opportunity to research why they don’t match. The result of closing the drawer, and any discrepancies are recorded automatically in your Cash Drawer Report.